Double the space – using a 1284P on Sanguinololu. We have recently had a number of inquiries about upgrading the ATMEGA 644P on Sanguinololu to the ATMEGA 1284P. 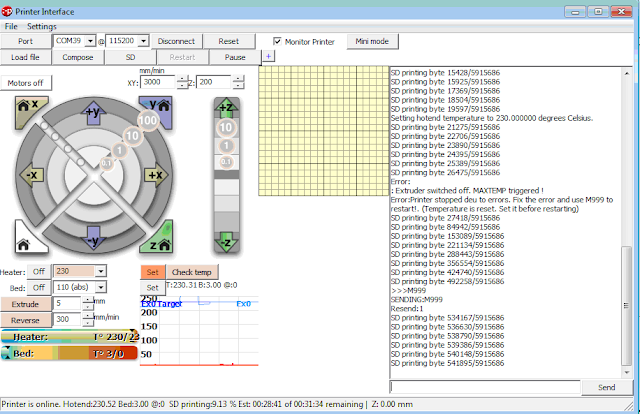 The original specs on the reprap wiki for the board stated it was “drop-in compatible”. It is physically; both the 644P and the 1284P are the same 40 pin DIP package, with the same pin-outs. Turns out it is not as “drop-in compatible” as far as bootloaders and firmware go. A number of threads on the forums have talked about using this chip, either on the Sanguinololu or the Gen 7 electronics with people suggesting the Mighty 1248P bootloader. Written by ManiacBug and available on github this bootloader suffers from one rather large issue – it's designed for Arduino 1.0. 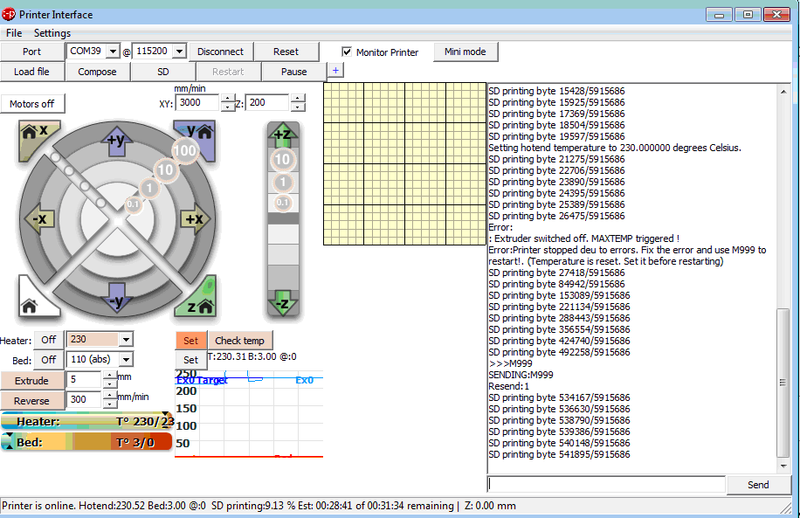 The firmware I am familiar with (Sprinter and Marlin) are pre-1.0 Arduino. A bit more searching found that there was a version of Sanguino available for Arduino 0023 which supported the 1284P. Brilliant! The first thing to be aware of is that you need a ISP capable of working with the 1284P. We have previously used the USBTiny ISP by ladyada, which works great; reliable and economical, but cannot handle AVRs with flash memory over 64k. Looking around I got hold of a Pololu ISP, which can handle the 1284P. Getting the Pololu ISP recognised by my computer in Windows 7 was straightforward. The ISP also has a TTL breakout as a second COM port but this is not required here. 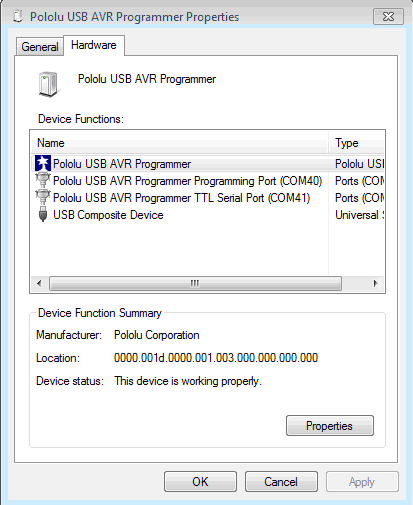 If you are used to the USBtiny, be aware that the Pololu ISP does not provide power through the ISCP connection. This fact was lost on me the first time I tried to load the bootloader, but after applying power separately to the Sanguinololu board it works fine. Be sure to pick the Pololu USB AVR Programmer Programming Port – COM 40 in this example. 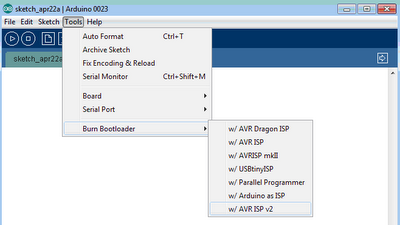 The next step is to get the Arduino IDE setup right in order to burn the bootloader. I had to configure two things, the new Pololu ISP, and the 1284P bootloader. 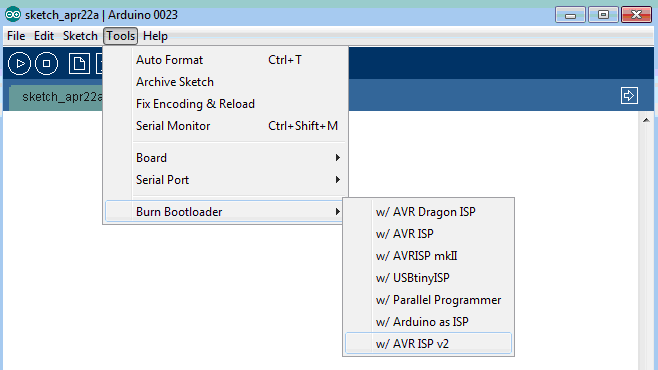 The option “AVR ISP v2” will now appear within the IDE under the programmers menu. 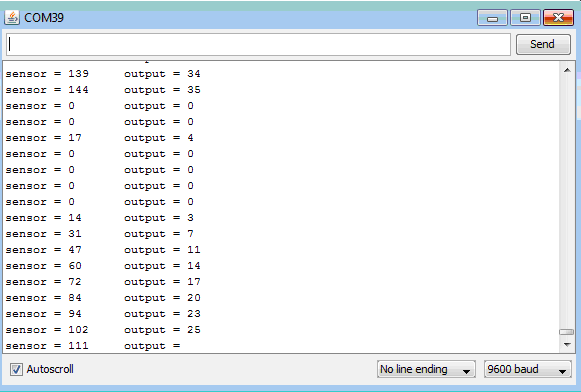 I burnt the “Sanguino W/ATMega1284p 16Mhz” bootloader using the AVR ISP v2 programmer selection with no issues. Passing these quick tests gave me the confidence that the bootloader was working. Next: Firmware. Sprinter compiles fine in Arduino 0023 choosing the Sanguino 644P option and so I had high hopes for it compiling with no issues choosing the 1284P. It did compile ok but then proceeded to hand on upload with no errors, just an infinite time to upload. These fuses get set in the boards.txt file. With more than a little frustration I gave up on the Sanguino 0023R3 bootloader and switched to the version that came in the zip from JM at eMaker linked above. In the readme it is stated to be the Mighty 1284P; however the boards.txt file looks identical to the Sanguino 0023R3 with the modified fuse settings. This time the bootloader uploaded with no problems and a quick test with the "AnalogInOutSerial" example went fine as well. Third time lucky with the Sprinter upload! A quick test with pronterface shows the firmware connects and talks back (M105 gives temp return). Use a ISP programmer capable of burning a AVR with 128k flash, like the Pololu programmer. Check your fuse settings, Crystal Oscillators vs Ceramic Resonators. "make sure you copy the avrdude.conf from JM's zip. This contains the definition of the 1284p, if you don't have this then the Arduino environment will say that a 1284p is "unknown". I overwrote the stock avrdude.conf in arduino-0023\hardware\tools\avr\etc\ "
Thanks for this - really helpful article. I know you already said this but when I saw the file in arduino-0023\hardware\tools I just assumed it was in the right place and didn't spot the exact path. Don't forget to use 120 ohm resistor between reset and 5V to disable auto reset using Arduino as ISP. This is at the loading the bootloader stage. I am actually trying to burn the atmega644 bootloader to an atmega644 chip but thought I would follow your guide becuase it is well explained. Unfortunately, I must have gone wrong somewhere, any idea? Hi, I was am using the same as in your guide. I am sure I did everything exactly as you said but still have this issue. Any ideas what I might have done wrong? Thanks, this helped alot. I found that I had to burn the bootloader using yours and an Arduino Uno programmed as an AVR ISP then restore the standard hardware setup I had in there to program my Sanguino board with Marlin. Worked great then. avrdude: reading input file "./ATmegaBOOT_1284P_8MHz.hex"